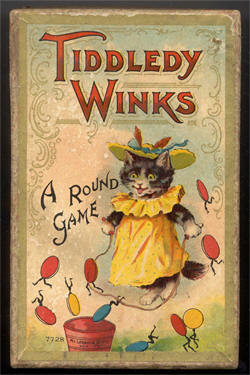 Rick has more than 2000 „tiddledy-winks„, „tidleywinks„, „tiddlywinks„, „Flohspiele„, „jeu de puces„, „gioco della pulci„, „vlooienspel“ …. 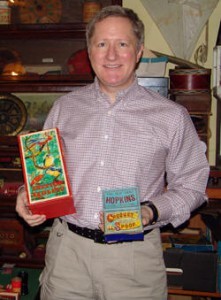 games in his catalog. Rick Tucker: „I have taken about 15,000 game photos so far (very few posted on the Internet yet) and I am still photographing my collection. Many are intended to be posted online or my personal sites or somewhere else but are not there yet. Looking forward to being engaged in the ESG and contributing to information exchange among ESG members and beyond.